If you’ve filed for social security disability and know that you have a legitimate case, it can be frustrating to have to wait for a decision. But, the reality is, the process does take time to vet out. And if you are truly disabled and unable to work, you should ultimately be able to receive benefits. 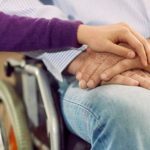 Will My First SSDI Claim Be Denied? It’s important to know that it is not uncommon for claims to be denied, especially the first time. Up to 70% of social security disability claims are denied after the initial submission. Often, individuals would be better off getting an attorney involved to ensure that everything is in place. This is especially true if you’ve already been denied. The re-application process can be successful for a large percentage of individuals, but having everything in place and legal representation to help you through the process can be key to being approved. Often, it takes four to six month for the Social Security Administration (SSA) to make a decision on your case – and it’s not uncommon for it to take longer. If you are appealing a previous denial, it make take even longer to get a decision. The most straightforward way to know if you’ve been approved or denied is to wait for the notice from the SSA in the mail. If your claim is being denied, the SAA will send you a Notice of Disapproved Claim or Notice of Reconsideration depending on the stage of the claim. You may also contact the SSA directly by phone at 1-800-772-1213. The hours are Monday through Friday from 7 a.m. to 7 p.m. If you are within reasonable driving distance of your local office, you can also appear in person to check on your status. Is It Bad If My Decision Is Being Delayed By the SSA? While it is not considered a “bad sign” if your claim is taking longer than usual to be decided on, it’s important to know that you should be checking the status regularly so you can address any issues that could potentially come up during the process. Getting in touch with the SSA, or the lawyer handling your case, if applicable, is a good way to stay in the know on your current situation. Any concerns that come up during the process would be beneficial if handled by a professional attorney. Similar to the appeals process in general, a professional can help navigate any issues along the way and get your claim or appeal on the right track to approval. If you have questions on anything to do with the process, or need help with your claim or appeal, get in touch with the professionals at Tabak Law by calling 844-432-0114 or filling out the form on our site.